IKEA is expanding its solar panel offering with a battery-storage solution, which it claims could help homeowners cut their electricity bills by 70 per cent. The Swedish furniture giant has been selling solar panels since 2013, but has announced it will now also sell battery packs that allow users to store the power generated by the sun and use it whenever they like. This reduces their reliance on the electrical grid and allows them to save more money on their energy bills. IKEA's packs work in much the same way as Tesla's Powerwall batteries, which are charged using renewable energy sources such as solar and wind, although IKEA's have a smaller storage capacity. However, IKEA believes that its battery-storage system – created alongside solar firm Solarcentury – is the first of its kind to be sold by a major retailer. "We know that our customers want to live more sustainably, and together with Solarcentury we will help them to get more value from their solar panels and do just that," said Hege Saebjornsen, country sustainability manager for IKEA UK and Ireland. 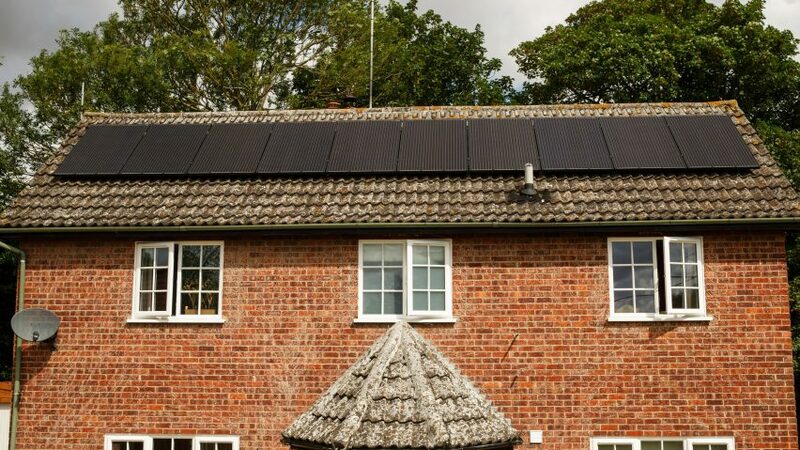 "With energy bills already going up 15 per cent this year, there's never been a better time for customers to take back control of their electricity bills and maximise their savings by switching to solar and solar storage." According to IKEA, homes fitted with solar panels but without battery storage only use 40 per cent of the electricity they gather from the sun. The remaining 60 per cent is sent back to the national grid, so the homeowners miss out on potential savings. IKEA will retail its 3.3-kilowatt-hour battery packs – which it says can run the equivalent of 200 watts of lighting for 14.5 hours – at prices starting from £3000 in the UK. Tesla currently sells its 14-kilowatt-hour Powerwall for £5,900. IKEA's announcement comes after the UK government revealed its plans last week to invest £246 million in battery technology, in an initiative dubbed the Faraday Challenge. "The work that we do through the Faraday Challenge will – quite literally – power the automotive and energy revolution where, already, the UK is leading the world," said business secretary Greg Clark ahead of the government's announcement. Solar charging possibilities are being explored across many areas of design. Dutch designer Marjan van Aubel incorporated them into a stained glass window that could harvest energy and use it to charge small devices, and in 2015, Icelandic artist Olafur Eliasson produced a mobile phone charger that incorporated solar cells. They've also been integrated into clothing by fashion designer Pauline van Dongen, so people in remote locations can charge their phones on the go.